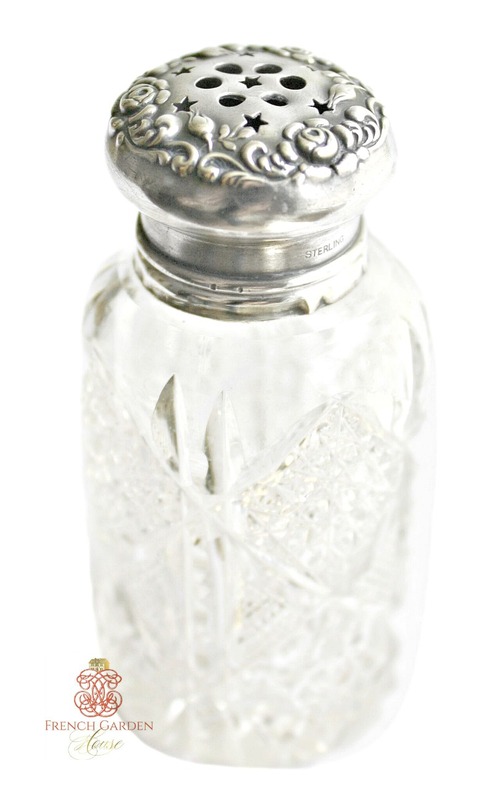 A delightful Antique Cut Crystal Vanity Bottle with Sterling repousse srew-on top featuring our very favorite flowers- roses - meant to hold a lady's talc on her dressing table long ago. 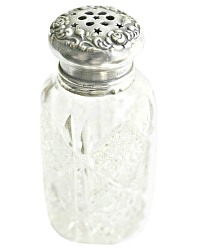 A sweet, romantic and luxury bottle, the top is pierced with little circles and stars for the talc to be able to sift through. 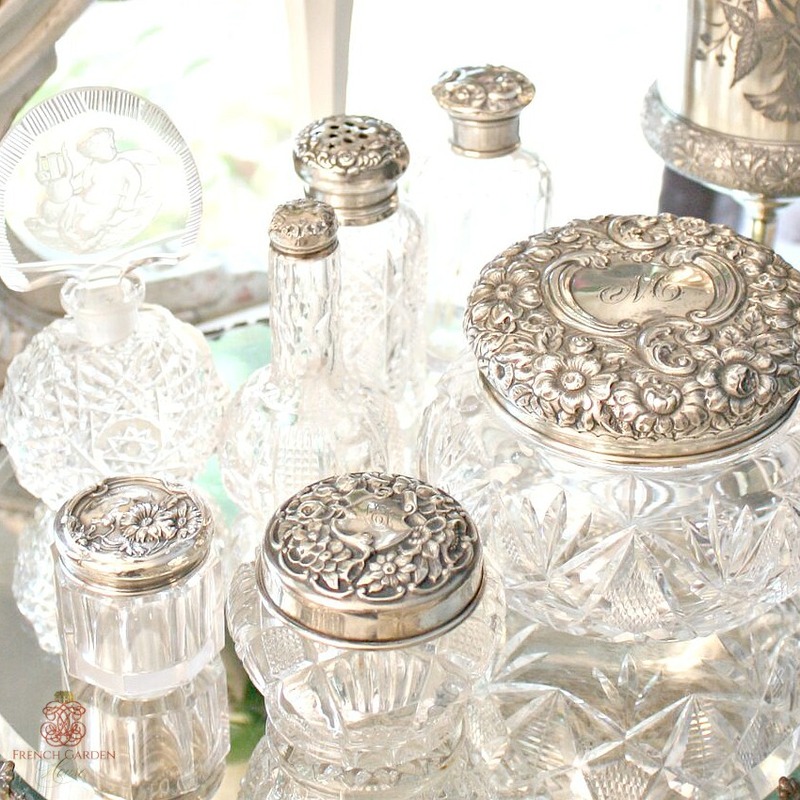 A decorative addition to your collection of powder jars, perfume bottles and other delicate treasures of the past. She is not perfect, after all she has been used for over 100 years, a few little nicks in the cut crystal pattern you can see when using a magnifying glass, and some miniscule indentaitions in the lid, commensurate with her age. Other than that, she's ready to be the star of your mirrored tray! Last photo shows her surrounded by some of her friends.